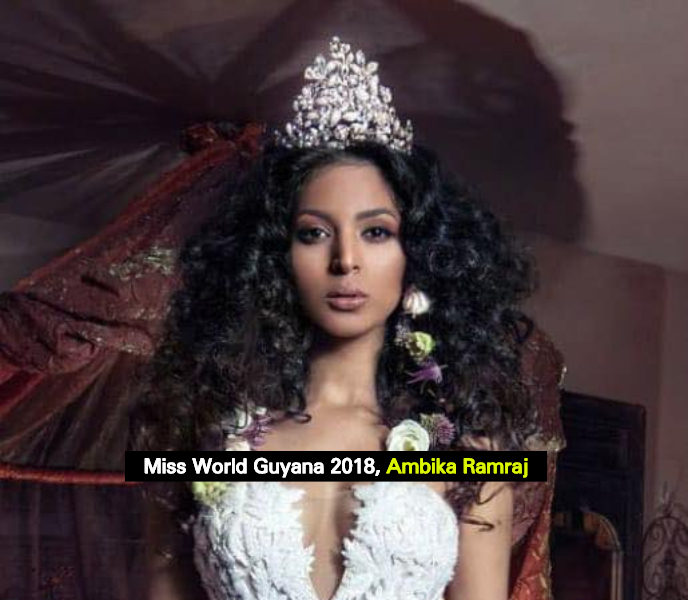 Guyana’s Ambika Ramraj will be taking to the Miss World stage tomorrow in Sanya, China to attempt an earnest shot at claiming the crown and Guyanese can lend their support by tuning in to catch the show from 07:00hrs. Ramraj will be competing against delegates from 113 countries but only 30 of them will advance to the final round of the competition. Ramraj is confident that she will be named among the 30. Persons can tune in live tomorrow at 07:00hrs local time via the Miss World YouTube channel and Facebook to keep abreast with Ramraj’s Miss World performance. Reigning Miss World Manushi Chhillar of India will crown the ultimate winner. Since arriving in China on November 8 last, Ramraj has participated in the Miss World Head to Head challenge and fast track competitions such as Top Model, Talent, Fitness and Sports, Multimedia, and Beauty with a Purpose. Her talent performance saw her being named among the top 18, and among the top 25 for her Beauty with a Purpose contribution. For the talent competition, Ramraj took on a classical Indian fusion dance portraying the Goddess Durga in her highest elements of strength and power as she battled and conquered the evil in the world. Choreographed by Roshini Boodhoo-Persaud and international dancer Zaman Mohamed Amin, the dance illustrated the battle one deals with daily in overcoming fears and obstacles and shining through in beauty by the strength gained from the struggles of life. For her Beauty with a Purpose project, Ramraj submitted a short documentary “Beyond the Mirror” on childhood trauma as a supplemental piece to her healthy, wholly summer programme for the students at the Sophia Special School. Ramraj was crowned Miss World Guyana 2018 at the Pegasus Hotel in Georgetown, Guyana on May 25, 2018. A national badminton player, she is said to be a sports and physical activities enthusiast. The 18-year-old Environmental Science student at the University of Guyana is also said to have a keen interest in psychology and is passionate about helping individuals affected by mental health issues (more specifically, those cause by childhood trauma) which impact the overall health and development of a child and/or young adult. Ramraj’s aforementioned passion for helping others, combined with her passion for sports helped to shape her Beauty with a Purpose project through which she has been encouraging youths to become healthy by strengthening both their bodies and their minds. This project, she promises to continue working on to make all of Guyana proud.